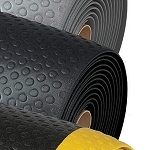 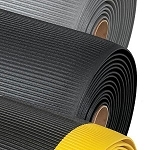 The 417 Bubble Sof-Tred with Dyna-Shield Floor Mat is a highly resistant floor padding manufactured from a NoTrax exclusive Dyna-Shield PVC sponge and a bubble pattern protective top layer that is resistant to tear and mild chemicals. This floor padding is also helpful with proper blood circulation to prevent muscle fatigue and lower back strain. 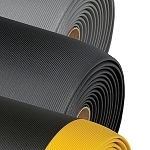 You can count on minimizing tripping accidents with this floor covering because all four sides are beveled making access onto and off the mat painless. 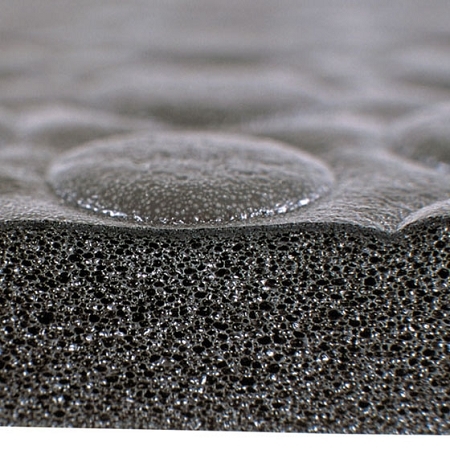 Removing this floor mat is painless as it is very lightweight and can be swept clean. 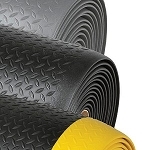 This floor pad can be used in dry work areas such as laboratories, packaging stations and shipping departments.